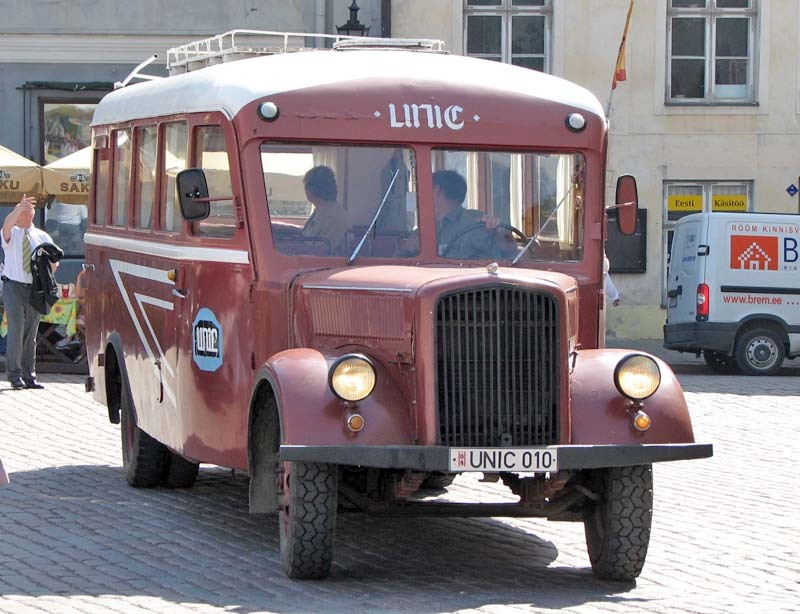 Rain Vaikla reports on it: This particular Blitz is one of very few pre-1945 buses survived in Estonia. 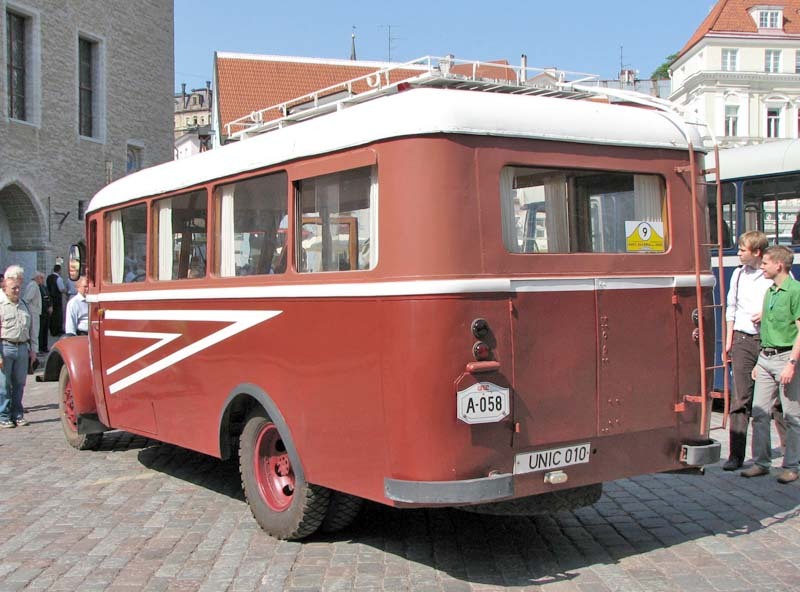 It is an ex German army bus. 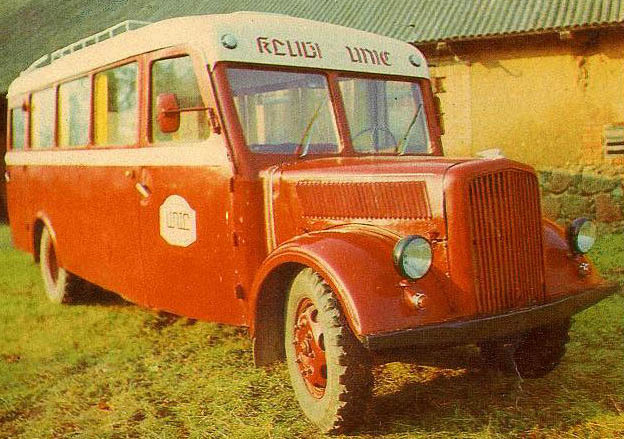 It was brought to Estonia shortly after WWII from Kurland (Kurzeme) in our neighbouring Latvia, from the big distribution centre of trophy vehicles that was located there. 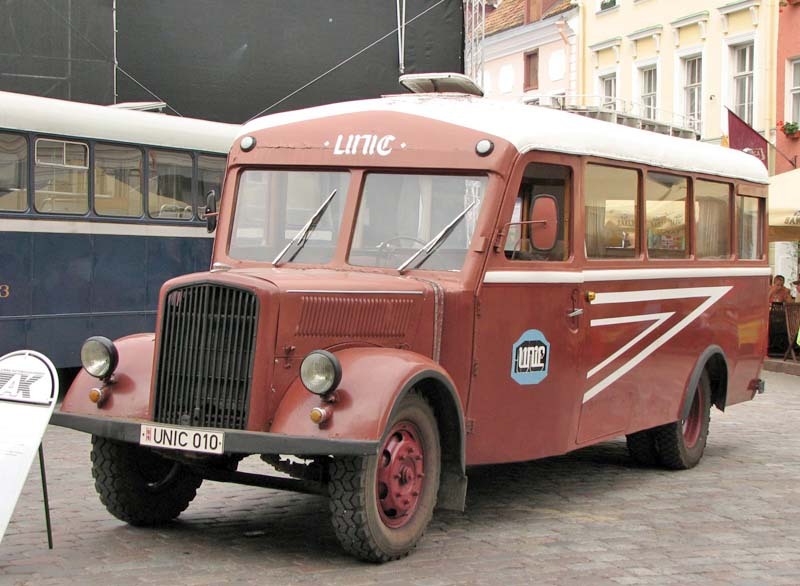 It was used as an intercity bus for connection between Estonian towns Tartu, Valga and Otepää. 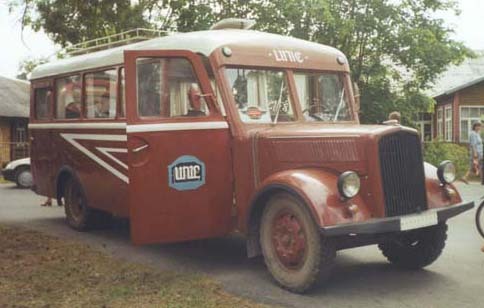 The bus was restored in 1982-1986 by the members of our oldtimer club Unic (thus the word "Unic" on the sides and above the windscreen). It is not completely original though. The engine is from Russian truck GAZ-51. The interior is probably rebuilt as no original materials were available in 1980ies. I have no information about how original the body is and if it has gone through some modifications during the restoration or earlier during the service. Well, She's still with us. A hart-transplant and some bodywork are pretty normal after 40 years of wear and tear. Thanks Rain!